Or the Great Alps Crossing. Recently, we had the fortune to join the Mountain Wilderness France board, a dynamic team full of energy and creative ideas. Within this framework, it seemed consistent to us to establish a constructive parallel between our achievements as mountaineers and those of the association which militates to defend the values of the mountain, which is for us a wide land full of means of expression and sharing. For many years we have a dream, a shared idea full of significance; a bet to the size of the wilderness, both unifying and useful. 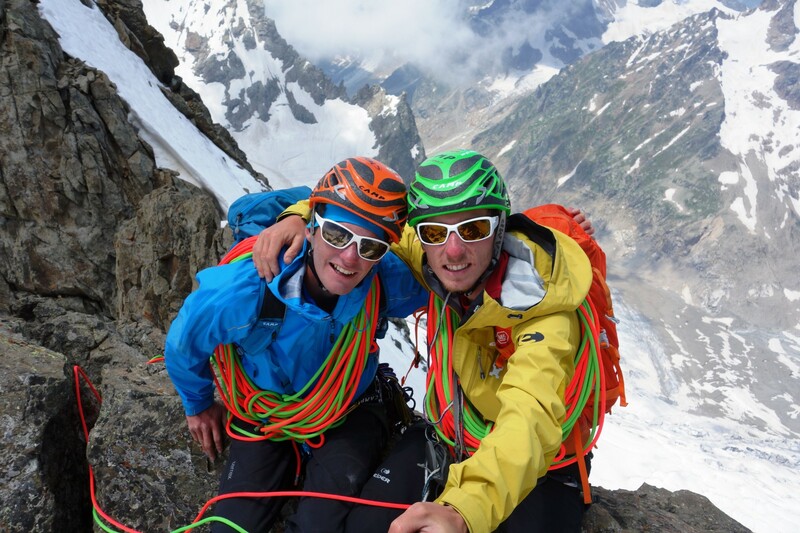 A unique project born upon the encounter between two young mountaineers, Yoann Joly et Yann Borgnet, both sharing the same passion and values​​. Together, we are part of a creative mountaineering motivated by discovery whatever the difficulty may be. This led us to imagine a great journey combining exploration and proximity put together. Thus, our desire to live a real adventure in the mountains that have seen us grow and which wants to be at the far opposite of the remote, expensive and high impact fashion expeditions. In this sense, we were largely inspired by Patrick Berhault’s philosophy, giving a secondary importance to pure performance and giving more room to an open practice. This Great Alps crossing is a long travel route that should lead us, starting on February 2015, from Monte Cinto in Corsica to the Slovenian Triglav. All done, without motorized means. We will explore various options offered by soft mobility to rally the jewels of the Alps. 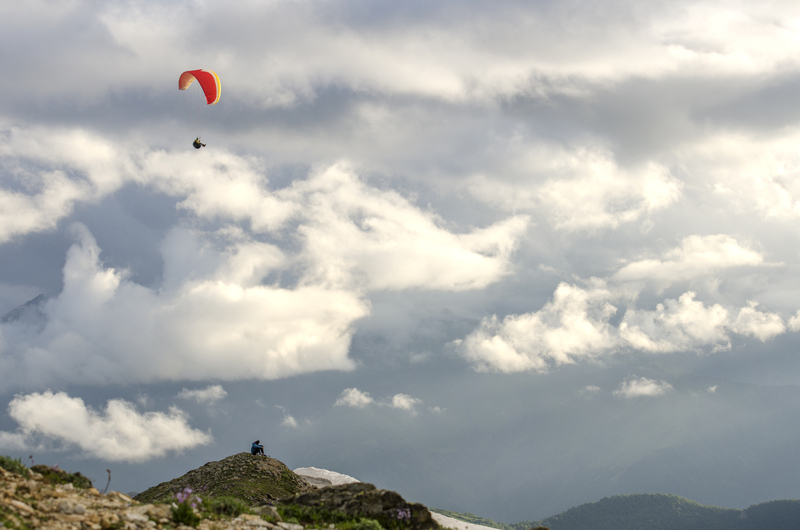 From sailboat to paragliding, skiing or hiking. The various natural elements we will guide us from wall to wall, allowing us to express our mountaineering vision. The unique connections of aesthetic openings and great historical climbing routes will punctuate our journey during 5 months. Sharing being at the heart of the project, we have the desire to include the highest number of people in this adventure, each one bringing his own stone to the common “kairn”! In essence, the purpose of the trip is to gather as many folks as possible, beyond the the mountaineering world, around common values​. Among these, the protection of natural environment plays a center place. The project is intended to be a platform for reflection and communication about these issues that affect us all. In this respect, Mountain Wilderness International is a privileged interlocutor and a moral guarantor of this federative project. This is a call for participation of all those interested, nature lovers, members (or potential members) of Mountain Wilderness, the experienced, the discoverers, all those who wish, in any manner whatsoever, to give life to this great collective adventure!